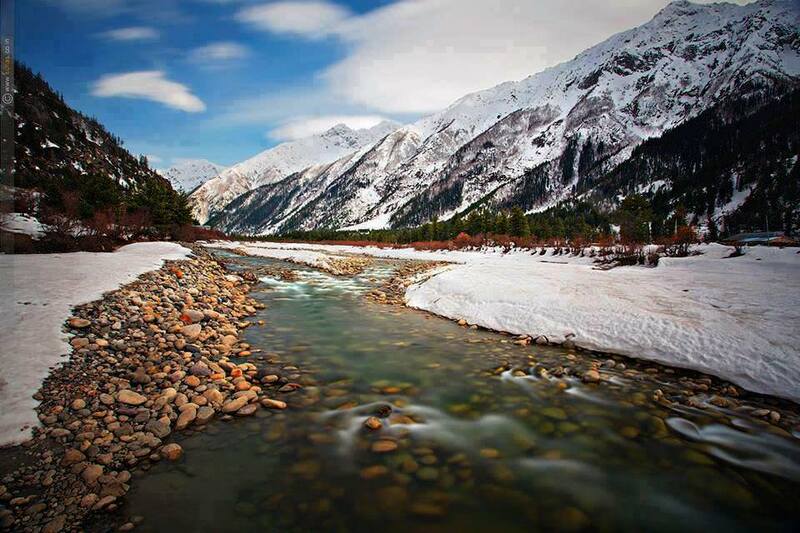 Chitkul – a remote village in Kinnaur region of Himachal Pradesh - is as beautiful and fascinating as Swiss Alps. The high mountain ranges with piercing tip rising from the floor of the village protect this priceless gem and its inhabitants from all anomalies and perils of the contemporary world. You will always fall short of words to explain astonishing beauty of this village, and you have to see to believe it. 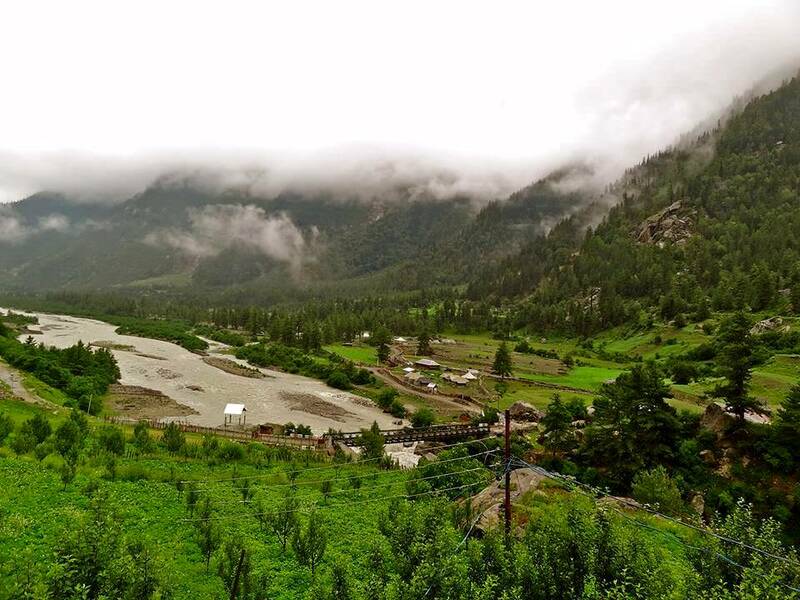 Situated at an altitude of 2,696 meters (8,900 ft), Sangla is one the most beautiful and romantic valleys in the entire Kinnaur district of Himachal Pradesh. It’s about 120 km before the Indo-Tibet border and has quite a lot of small and big houses owned by natives of the valley. In beautiful setting of open valley, Baspa River flowing on one side, snow-capped mountains on both sides ensuring well-being of natives, Mata Devi and Bearing Nag temples and a cluster of beautiful and identical looking houses make for a perfect and inviting destination. Situated at a walking distance of half an hour from Sangla, the Great Himalaya Kamru Fort sits atop a small hill. 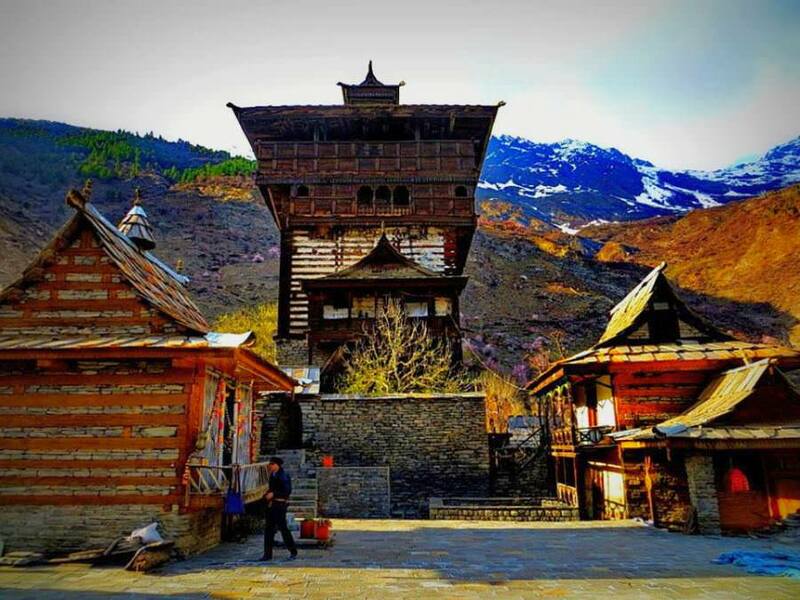 It’s about 1000 years old and is considered to be one of the oldest forts in Himachal Pradesh. It’s a must-check place when on the way to Chitkul. 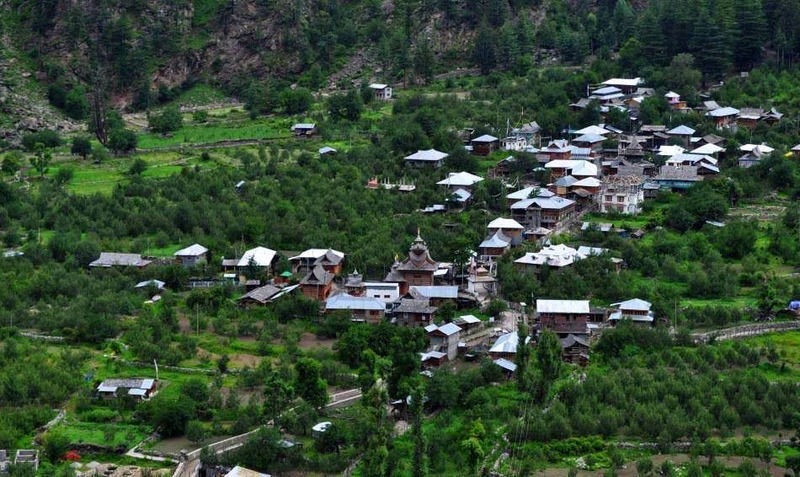 Winner of Nirmal Gram Award, Batseri village in Kinnaur, Himachal Pradesh is situated at the left bank of Baspa River. The village is planned and built with a motive to keep enough between houses and space for walkways. Each and every corner of the village is garbage-free all thanks to dustbins installed every 200 meters. Houses are built in traditional way and are very pretty. The village is surrounded by apple and peach orchards. The local deity Lord Badrinarayan resides in a beautiful wooden temple exuding extraordinary wood carvings. About 9 km before Chitkul, Rakcham is a beautiful village at an altitude of 3050 m (10006 ft). This place has a charm of its own. Green forested mountains beautify the landscape on either side of blue waters of Baspa River. There are a couple of hotels at this place, but this place is not meant to be enjoyed from a hotel room. Just step outside and look at the mountains that look closer than they are. Views of river Baspa and snow-clad peaks make for a perfect picture frame. There are loads of trails in these apple orchards which can be hiked around while your stay at Sangla, Batseri or Rakcham. There are some lovely meadows too, which can be walked through or camped at.